Jaipur, April 16, 2019: Honda Motorcycle and Scooter India Pvt. Ltd. brought its National Road Safety Awareness initiative to Jaipur. Aiming to build a culture of safe riding habits, the 2-day initiative has educated over 1500 students of S.S. Jain Subodh Law College, Jaipur. To expand awareness on safe riding practices among youth across India, Honda started its All India National Road Safety Awareness initiative in January 2019. Through this initiative, Honda is reaching out to more than 15,000 college students of 10 colleges across cities every month. 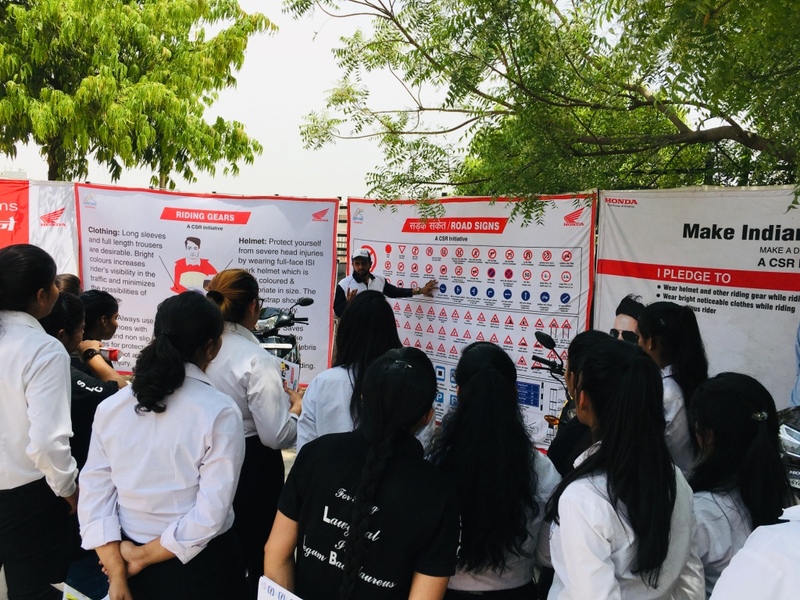 Since the start, Honda’s initiative has already spread awareness to over 53,000 college students across 29 cities with the latest being in Jaipur. To spread road safety awareness under the motto of ‘Safety for Everyone’, Honda conducted different activities. Honda’s skilled instructors set the foundation with theory sessions for all students on road rules, traffic signs and safe riding etiquettes like correct riding posture etc. To increase the risk prediction ability on roads, students were trained on virtual riding simulator to experience over 100 possible dangers on road before actual riding. Empowering women with independent mobility, female students were specially trained to learn two wheeler riding in just 4 hours. For Honda globally, road safety comes first. Fulfilling its corporate social responsibility, Honda has been promoting road safety in India since its inception in 2001 and has already spread road safety awareness to 25 lac Indians. Today Indians are becoming independent and safe riders via Honda’s safety riding and training programmes being held at its 14 adopted traffic parks (2 in Delhi, Jaipur, Chandigarh, Bhubaneswar, Cuttack, Yeola, Hyderabad, Indore, Ludhiana, Coimbatore, Tiruchirappalli, Karnal and Thane) across India.